We have rooted ourselves as the leading enterprise engaged in providing Center FFS Machine. 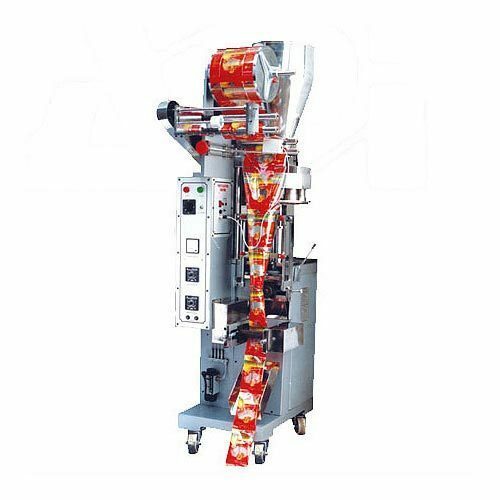 Incorporated in the year 2014, we “Krishna Machine Engineers” are counted as the reputed manufacturer of FFS Machine, Pouch Packing Machine, Collar Type Filler Machines, Automatic Liquid Filling Machine, etc. The offered range is highly praised among our clients due to attributes such as superior functionality, optimum performance, rugged design, perfect finish and long service life. Clients can avail this range from us in different specifications at reasonable prices. Located in Faridabad (Haryana, India), we are a Sole Proprietorship firm engaged in offering a high-quality range of products. Under the management of, “Mr. Ram Harakh” (Director), we have been able to provide complete satisfaction to our clients. Owing to our ethical business practice, quality-centric approach, transparent dealings and strong track record, we have gained huge success in this domain.